Two men have been charged in connection with the attempted arrest of a wanted man. 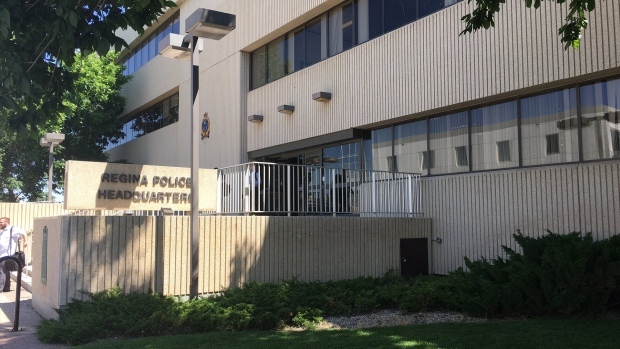 Regina police say two plainclothes officers were attempting to arrest Tyson Kehoe, who was wanted by police. The officers attempted to stop a vehicle carrying Kehoe around 2 p.m. in the Cathedral area, when the vehicle reportedly backed up and hit an unmarked police vehicle. Police say Kehoe tried to flee on foot, but was arrested after a foot chase. The vehicle he had been riding in reportedly left the scene of a crash at a high speed and was eventually involved in a crash with another vehicle at 15 Avenue and Rae Street. Police arrested the driver after the crash. No one was injured in the crash at 15 Avenue and Rae Street. Tyson Thomas Kehoe, 30, has been charged with outstanding warrants for break and enter, resisting arrest, possession of stolen property, breach of undertaking and breach of probation. Christopher Orville Lavallee, 44, has been charged with two counts of failing to remain at the scene of an accident, assault with a weapon, dangerous operation of a motor vehicle and breach of undertaking. Both suspects will appear in court on Aug. 7.